Looking for a quiet small rural place with a military air base nearby? Then Landivisiau is the place. Apart from the nearby presence of magnificent men in their sleek flying machines, the other important business that is closely associated with the area is horse-breeding. The proximity of the busy air base and the stud farms give the little market town an air of prosperity and importance that sets it apart somewhat in terms of your average small Breton town. The air base employs 1,900 people and its fame as a horse-breeding centre means that it has numerous show events and fairs throughout the year. 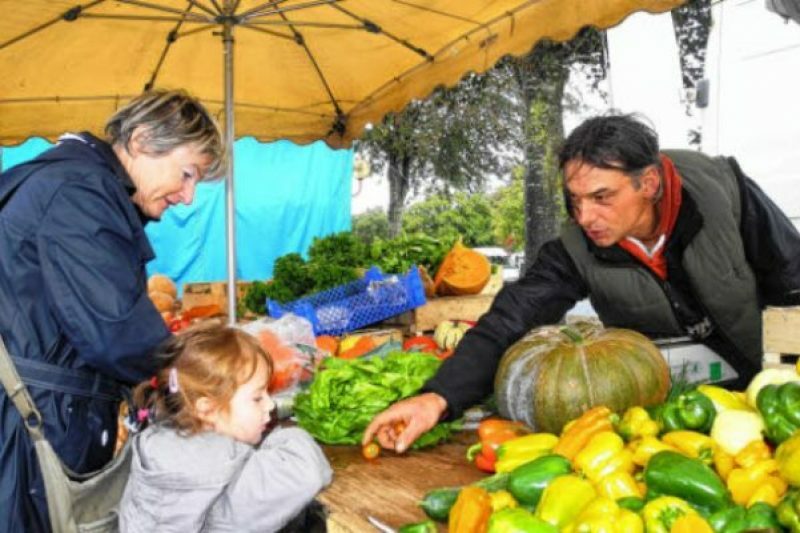 The market takes place every Wednesday at the Place Jeanne d’Arc from 07:00 to 17:00. There are 50 stalls in all, of which half are selling food produce.